There is a growing achievement gap within our school systems. This achievement gap is both academic and social. Some students have a support network, and their roots are intertwined and strong; others are less connected and may have more difficulty standing tall in the face of storms. 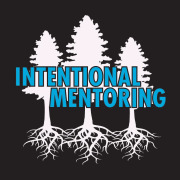 At Intentional Mentoring, we match students with adult mentors in hopes of strengthening those roots. Mentors provide support at home, school, and in the community, with the goal of strengthening connections between these environments. We are looking for adults who are passionate about our next generation and have previous experience working with youth, currently work with youth, or are seeking a way to have an impact. At Intentional Mentoring, we aim to bridge the gap between programs in which students are involved. Our goal is to provide you with the resources needed so this commitment can compliment your normal schedule. We will work with you to make this work, so that it can work for the student.